TL;DR: AI technologies today range from simple to extraordinarily complicated. Basic chatbots are enabled by natural language processing, which allows them to understand human language. More complex technologies like IBM’s Watson leverages machine learning to absorb huge amounts of data and create predictive algorithms. 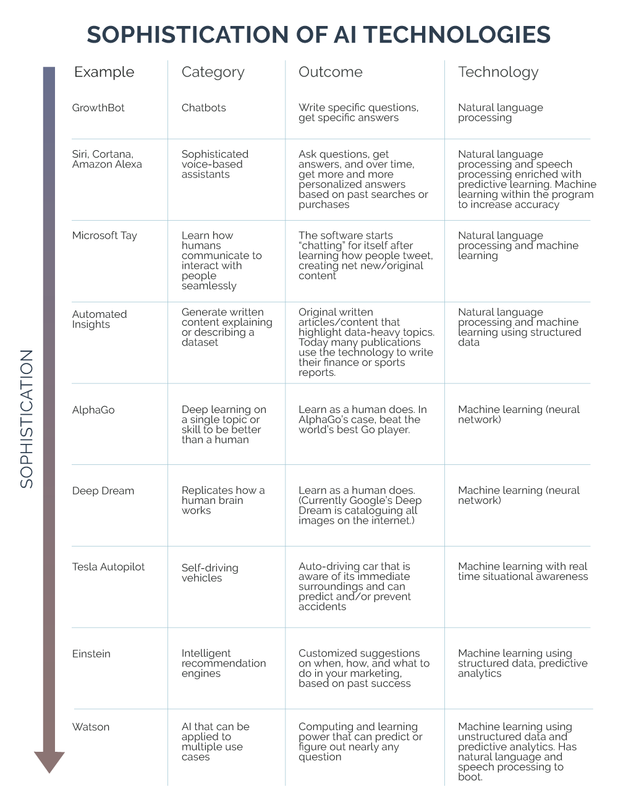 This report breaks down the most well-known AI products and technologies on the market today. The concept of artificial intelligence (AI) has been tossed around in books, movies, and media for decades. From HAL 9000 wreaking havoc (2001: A Space Odyssey) to Marvin the Paranoid Android sadly going about its existence (The Hitchhiker’s Guide to the Galaxy), we’ve been trained to expect AI-powered devices to have fully developed personalities who also can either fly or fly spaceships. So some people may be disappointed to hear from tech companies and the media about how we’re entering the age of AI -- despite not seeing a single adorable robot zooming around. Granted, we are at the very beginning of the AI revolution, but this technology has the potential to change the way we live and work. Even the Obama administration drafted a report that outlines the future impact of AI developments. 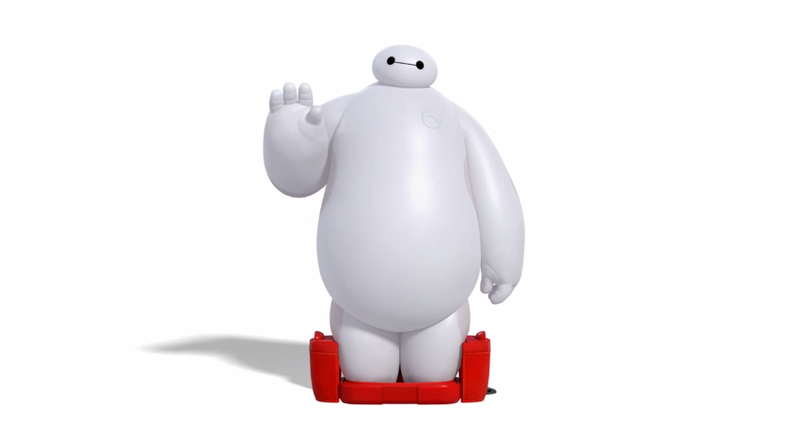 But if AI is here, where are all the big floofy robots? As we sit on the cusp of AI innovation, we thought it was necessary to break down AI in a practical way. What does the current product landscape look like, and what technologies are driving these tools? It can be a confusing mess to an interested observer without a deep technical background (i.e., most of us). In general terms, artificial intelligence is technology that can do things humans can uniquely do, whether it’s talk, see, learn, socialize, and reason. That’s a very broad set of skills, and when most of us think of AI, we envision a human-like android that can do all of those things. Let’s set expectations: AI technology isn’t advanced enough to produce a Terminator … at least not yet. Most of today’s AI technologies aren’t even sentient. For example, many of us have heard the term “chatbot” thrown around but are chatbots technically artificial intelligence technologies? While chatbots have the ability to understand how humans communicate, they don’t “think” for themselves autonomously. Some argue that chatbots aren’t really AI because it can only follow through with pre-loaded responses or actions, while others point out that a chatbots’ ability to understand the way we humans write and speak gives it an edge of artificial intelligence. In fact, technologists today often disagree about what falls under the AI umbrella -- and we’ll leave the ‘what qualifies as AI’ debate to the experts. This report focuses on giving our readers an outline of current, generally-recognized-as-AI technologies. Slackbot wants to remind you it’s “still just a bot”. 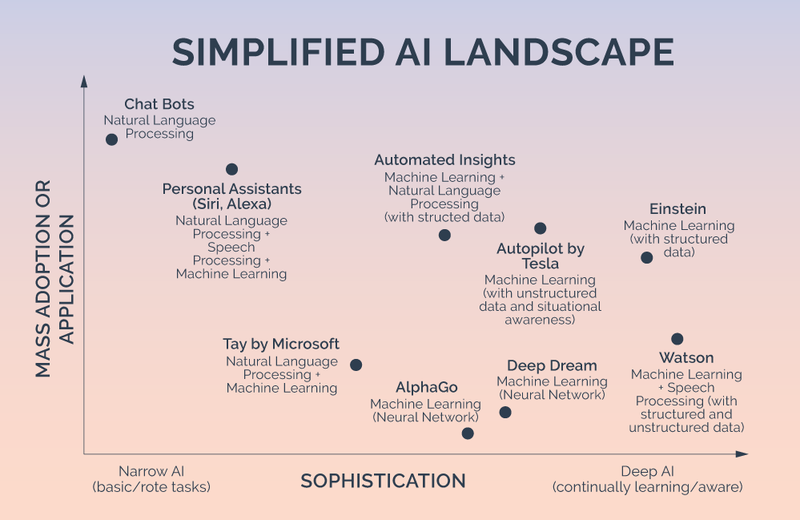 Let’s start by reviewing the AI landscape and the most well-known tools and products. In the graphic below, the x-axis reflects the level of technical sophistication the AI tool has. The y-axis represents the mass appeal of the tool. 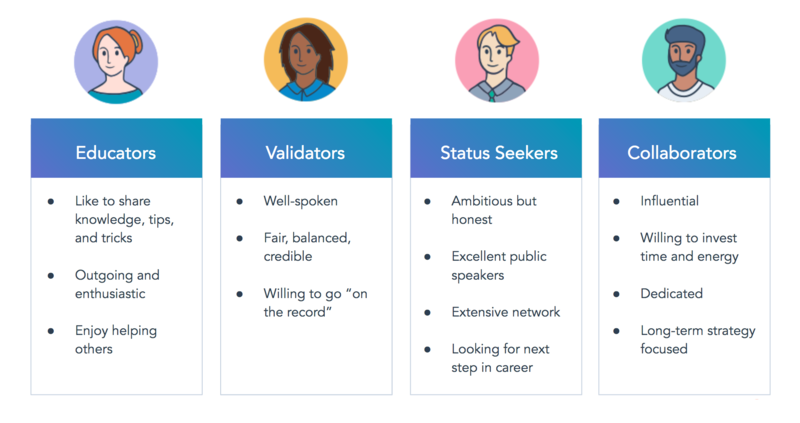 Most chatbots have a narrow use case, which is why they’re placed on the “Narrow AI” side in our chart. A key feature of a chatbot is its ability to understand text-based commands. Think of chatbots as the evolution of the command line.Instead of us learning how to ask a program to do something in their language (“C:\DOS\RUN”), programs now understand our language (“Hey bot, what’s the weather today?”). Although chatbots typically have only basic functionality, there is the potential for high adoption in the future, hence their high placement on the y-axis. 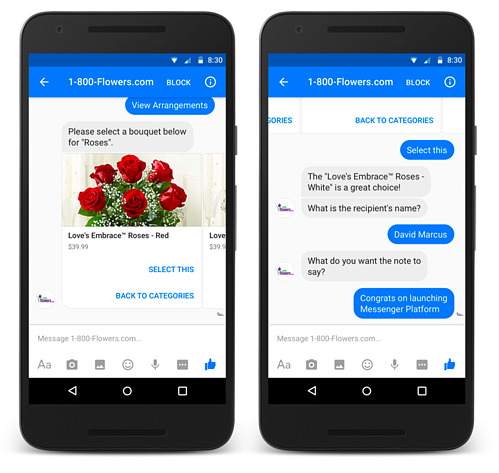 Whether they tells us they help us buy flowers (see below), tell us how many visitors our website received in the past day, or even help us register to vote, these applications are the perfect example of how AI-powered tools will help people to find information and complete tasks more efficiently. Chatbots are programs enabled by AI, which differentiates them from more sophisticated personal assistant programs such as Amazon’s Alexa assistant. Here’s why: While chatbots can understand language, they can’t do a lot beyond their core use case. We can ask a chatbot like Poncho, which is designed to tell us the weather, about the weather. However, if we ask Poncho to tell us the Cubs’ 2016 record, it won’t know the answer because it isn’t designed to handle requests for information out of its scope. In contrast, programs such as Siri have the natural language capabilities of chatbots but also operate with more sophisticated functionalities that are driven by machine learning. For example, Siri can act as a calculator, find the Cubs’ record, and tell you the weather. That’s because programs like Siri aren’t just AI-enabled like chatbots; they’re powered by AI. On the other side of the AI sophistication spectrum are tools such as IBM’s Watson. While Watson might be famous for beating humans at Jeopardy, it has many practical applications because of its deep learning capabilities, as we found when HubSpot interviewed Ari Sheinkin, VP of Marketing Analytics at IBM. Watson uses machine learning to process huge amounts of data on nearly any topic. Unlike a weather chatbot that can only tell you today’s forecast, Watson’s machine learning capabilities, when properly configured, can scan MRIs to spot tumors in humans, figure out what products to recommend people browsing on websites, and, yes, answer Jeopardy questions on national TV. Machine learning tools such as Watson not only recognize patterns and commonalities in large datasets, it leverages its past learnings to become smarter over time. While the practical uses for Watson appear endless, most individual consumers aren’t going to interact with it in the near future, so for now it’s relatively low on the mass adoption axis. 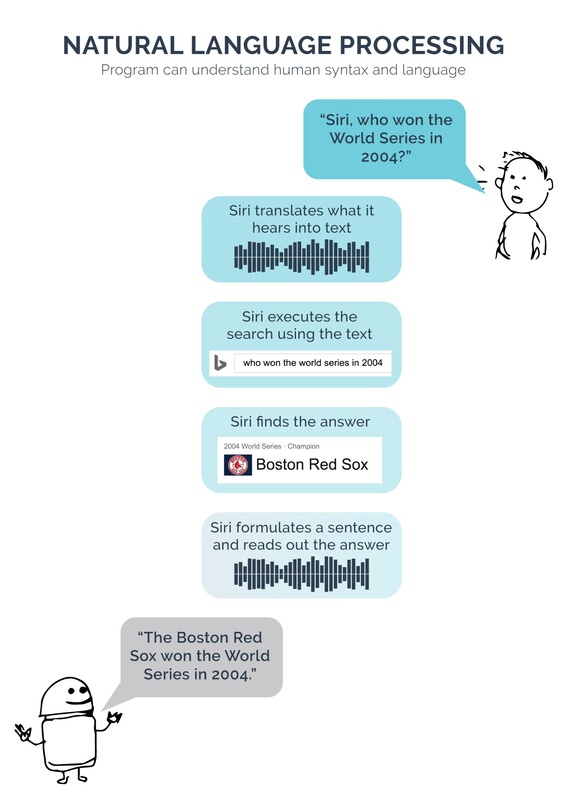 Natural language processing enables a technology to understand text- or voice-based commands. Understanding the complexities of human language and sentence structure has typically been touted as a key trait of artificial intelligence. Tools like Siri can hear you ask a question through speech recognition, translate your words into a text-based query using natural language processing, and then execute the query to find the answer to your question or request. Once Siri finds your answer, it constructs an understandable sentence that includes the answer, and it reads it aloud to you. Machine learning is a broad category that most of today’s sophisticated AI programs fall under. 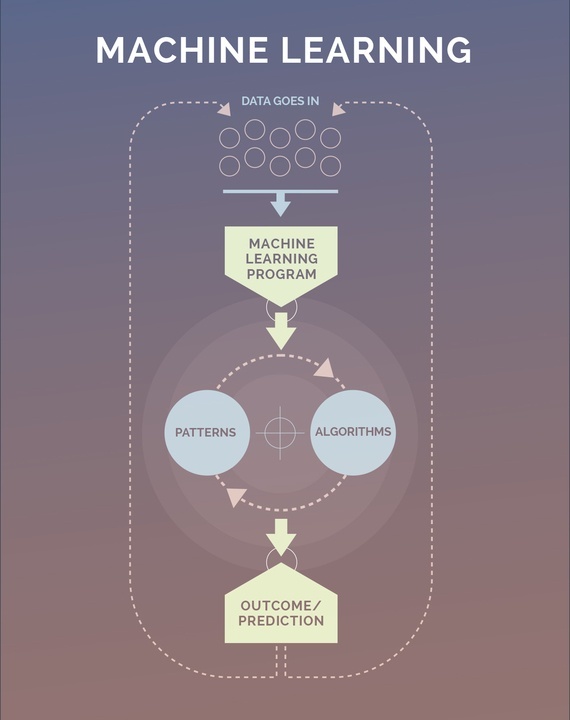 The basic definition of machine learning is as “clear as mud”: it “gives computers the ability to learn without being explicitly programmed.” Essentially, someone can dump a bunch of data into a machine learning program, and the program will be able to sort through the information, form conclusions, and generate predictions based on those conclusions. Neural networks are a type of machine learning that’s difficult to grasp. Basically, neural networks are built to replicate the way the human brain works -- with neuron’s firing and sending information back and forth, creating layers of context and associations as a result. 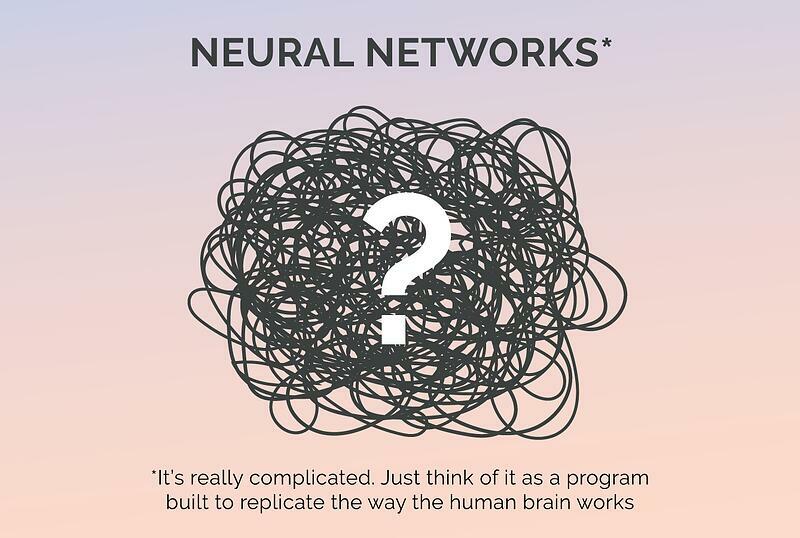 Neural networks are the means to achieving artificial intelligence: by creating a program that mimics human intelligence, the program will eventually become intelligent on its own. Right now, the most well-known neural network is Google’s Deep Dream, which is currently combing all the images on the internet. As Deep Dream learns to recognize objects and places, it generates some very odd and sometimes creepy images in its wake (see the example below). 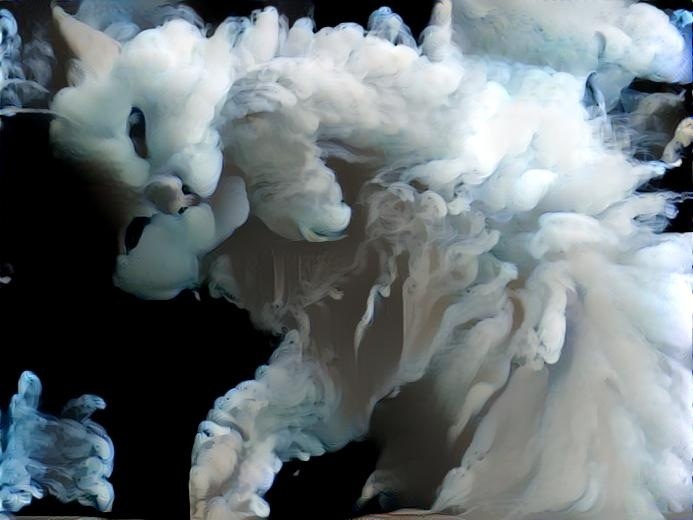 Deep Dream actually produces the images it sees when it inspects a picture. The weird psychedelic flourishes found are actually patterns that the software has observed and enhanced. It’s not entirely clear what Google will do with Deep Dream, but it’s safe to expect that it’ll follow IBM’s Watson playbook and productize DeepMind, its master AI product, after it matures as a program. Google’s AI programs already feed into its Maps, Personal Assistant, Home, Google Translate, and Advertising services. The table belows provides more context to the technologies we’ve profiled. It’s not meant to be exhaustive, but it highlights the outcomes generated by each technology category and their increasing sophistication. Once niche example is Google DeepMind’s AlphaGo, a deep learning program that learned to play the ancient board game Go. AlphaGo only does one thing, but the technology behind is notable because the program can organically learn anything. Want this chart? Click to download. Another, more disastrous example is Microsoft’s Tay chatbot, which is designed to learn and then mimic how teenagers text and tweet. The goal was for Tay to learn to write like a “cool” teenager by analyzing tweets sent its way so it could generate original content. The problem was … the internet. After only one day, Tay began tweeting inappropriate content after Twitter trolls sent it racist, sexist, and offensive content. 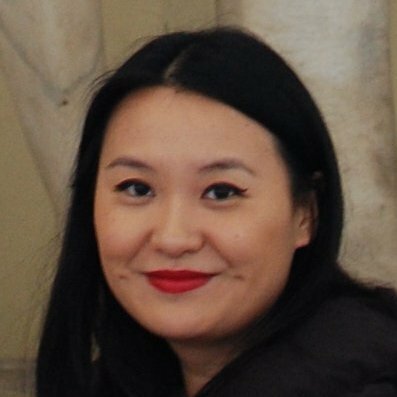 Microsoft suffered a huge PR embarrassment and very quickly put Tay back in beta. Tay’s misadventures prove it’s still early days for AI. Artificial intelligence has already started to impact all of our lives, so hopefully this report has made today’s AI technology landscape a little clearer. As artificial intelligence capabilities advance, there will be many exciting innovations that we’ll continue to track here at HubSpot. For all of us as individual consumers, AI will change how we obtain information, interact with loved ones, and buy from businesses. As professionals, AI has the potential to augment the way we work and make us much more efficient by taking care of the busywork we all hate doing. On a societal level, AI can help us discover cures to diseases, facilitate the education of millions of people, and yes, even generate heated debates on ethics. Interested in learning more about how people have adopted AI technologies today? Subscribe to HubSpot Research and we’ll update you when our second data-backed report on AI is published in early 2017. We will review how 1,400+ consumers are using AI technologies and their interest in using chatbots for ecommerce and customer service requests. The early data suggests that people have quickly embraced AI-enabled technologies such as voice search and personal assistants, even though many don’t even realize they’re using AI. In the near future, we see huge potential for AI in areas such as ecommerce and customer service.